Bronze centenionalis, 22mm, 5.79gm, issued AD 383. 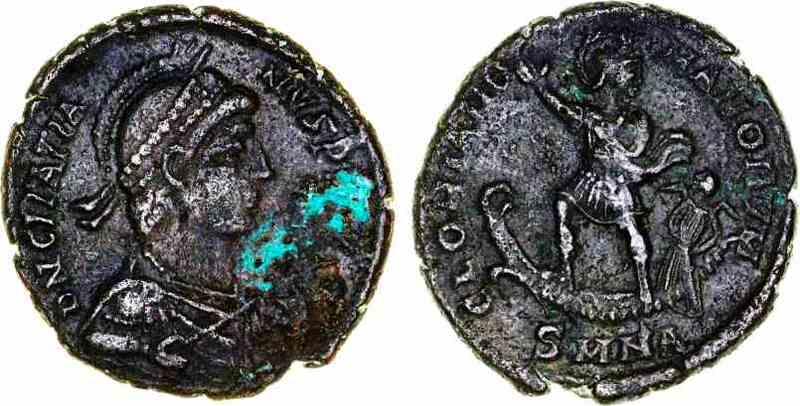 Nicomedia mint. Obv: DN GRATIANVS PF AVG, Helmeted, draped and cuirassed bust facing right. Rev: GLORIA ROMANORVM (SMNA in ex. ), Emperor standing in military attire on galley, Victory seated at helm. References: Sear 19998, RIC 25a.